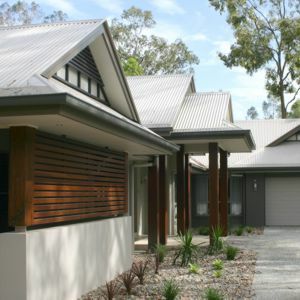 The name "Peter Bell" has long been synonymous in South East Queensland with superior quality design and housing construction. Peter and Margaret Bell have been operating the business since September 1968, beginning with a design consultancy firm - Peter A. Bell and Associates. Peter's designs continue to create an edge in individual home designs, winning widespread client and industry acclaim throughout Australia. In 1982, Peter Bell Homes was formed when it became apparent that the market needed a totally professional, exclusive and comprehensive "one-stop" service with each job being controlled from start to finish. Our aim is to provide a service where one can have a home individually designed, custom built and finished by one professional team at the forefront of the building industry. 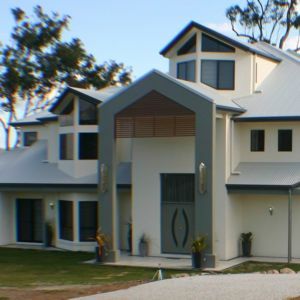 In recognition from the Housing Industry Association, Queensland Master Builder's Association, and other Industry Leaders, Peter Bell Homes has been acknowledged with over 100 awards. That is more than any other Queensland builder designer, giving testimony to the Company's success, innovation and creativity. Peter is a member of the H.I.A, the Q.M.B.A and the B.D.A.Q , has been a H.I.A. Councillor and now serves on the H.I.A. Technical Committee. As there are no standard plans, every home is custom designed. Our staff includes two qualified Designers and four registered Builders. Working to the client's brief and budget, we create an exclusive, practical and liveable home, harmonising with its surroundings and thereby producing a well-balanced, properly planned integrated unit. Sloping blocks are generally considered a builder's nightmare, yet for the Peter Bell Homes' team, these difficult sites provide more opportunities to showcase our skills. From the ground up, every Peter Bell home is thoroughly and individually prepared. The home is then constructed by experienced tradesmen, with strict accord to the stringent safety and strength specifications. 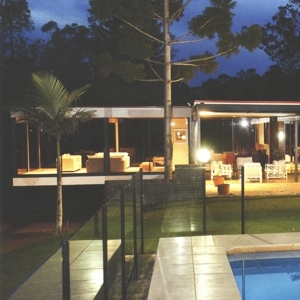 The resulting home compliments the use of the site and offers superb features of easy living, Queensland style. 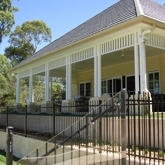 With a commitment to design, workmanship and liveability, Peter Bell Homes is one of the most respected home builders in Queensland. Having an individual idea and seeing it turned into reality is truly a satisfying experience when planning and building with Peter Bell Homes.